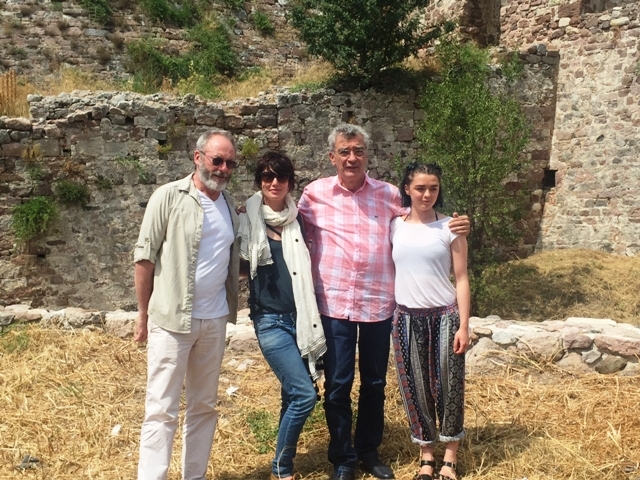 Lesvos Mayor Spyros Galinos (second right) with “Game of Thrones” actors Liam Cunningham (Sir Davos), Lena Headey (Cercei Lannister) and Maisie Williams (Arya Stark). Three actors from HBO block-buster “Game of Thrones” visited the Greek island of Lesvos this week to raise awareness about the ongoing refugee crisis. 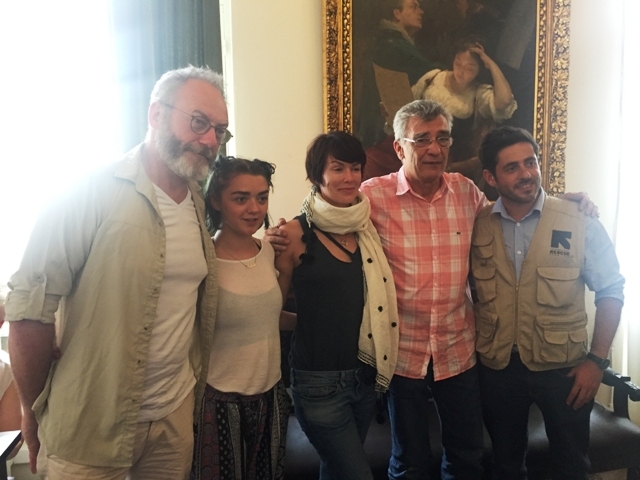 Just ahead of the epic fantasy’s sixth season, “Game of Thrones” cast members Lena Headey, Maisie Williams and Liam Cunningham came to Greece on the initiative of the International Rescue Committee (IRC) to launch the “Rescue Has No Boundaries” campaign, aimed at raising money for those displaced by natural disasters and conflict. The performers visited the Kara Tepe refugee camp on Lesvos, where they interacted with the people and children and were later welcomed by Lesvos Mayor Spyros Galinos. 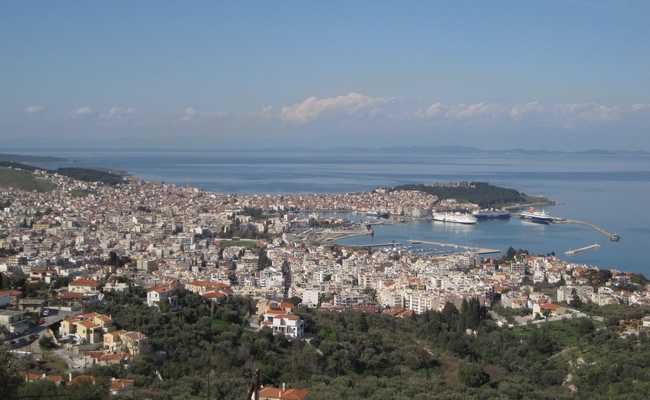 After visiting the city’s medieval fortress, the actors invited everyone to visit Lesvos, “particularly those who were reluctant to do so this year and canceled their bookings”, expressing in the meantime their gratitude to the people of the island for their contribution to the refugees and for keeping Lesvos safe. The three stars appear in a video appealing to people across the globe to “Rise up. Stand with us” and donate money to the initiative. Responding to the crisis on all fronts — from Syria and Jordan to Turkey, Lebanon and Iraq — the IRC has been on the side of Lesvos authorities throughout the refugee crisis. HBO has teamed up with the international relief agency in hopes of galvanizing “the general public to take action and rise up for refugees,” its president and CEO, David Miliband said in a statement.